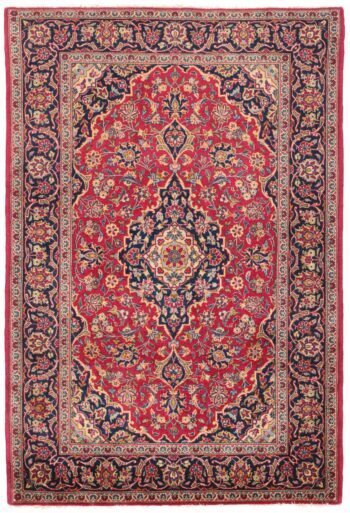 Keshan (Kashan) is an ancient Persian city and an important market place in today’s central Iran (Isfahan province). 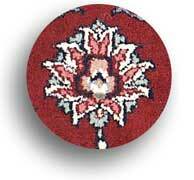 Carpet weaving started there already in the 16th century. 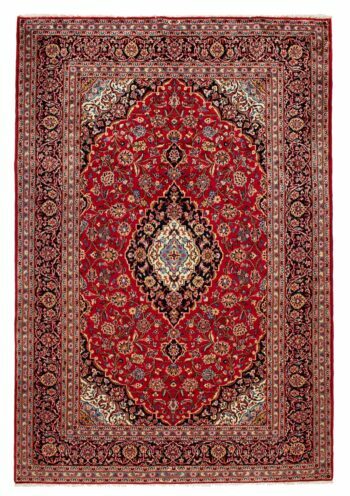 Some rug experts even think that the famous ‘Ardebil carpets’ have been woven in Kashan workshops. 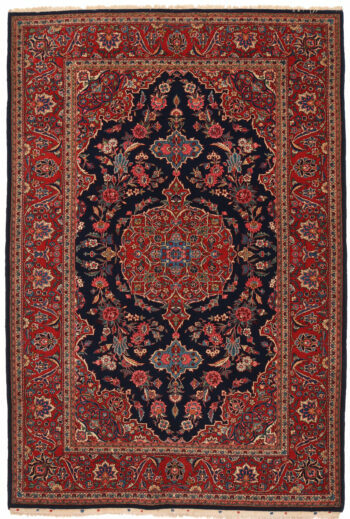 Antique Keshans frequently show a single, diamond-shaped medallion surrounded by Persian floral motifs, arabesques, palmettos and leaf motifs. 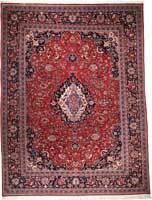 Pictorial and hunting scenes can also be found in traditional Keshan rugs. 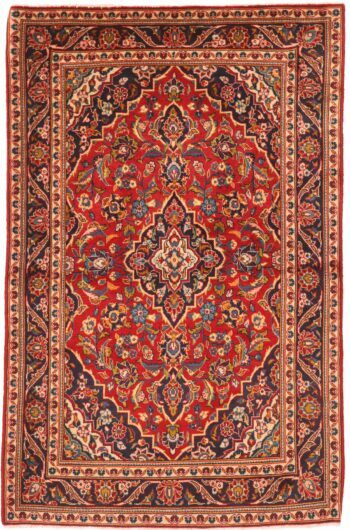 The weavers use an extremely dense asymmetrical Persian knot and mostly wool, sometimes mixed with silk, or just pure silk (Silk Kashans). 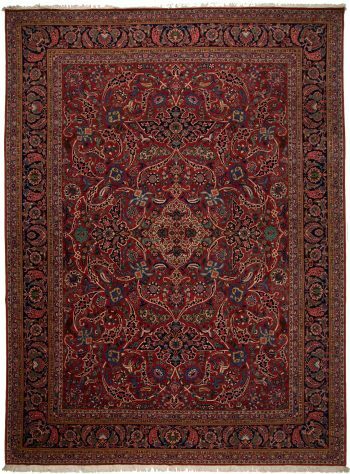 The dominating colours in older Keshan carpets are red and blue, while contemporary Kashans prefer lighter colours like beige, ivory, greyish-blue and soft green tones.